The DB Series gauges connect to the analog output from your LC-1 or LM-1 Wideband system and provide you with accurate Air/Fuel Ratio information in real-time….. a good idea for high performance naturally aspirated cars, and pretty much a must for forced induction! 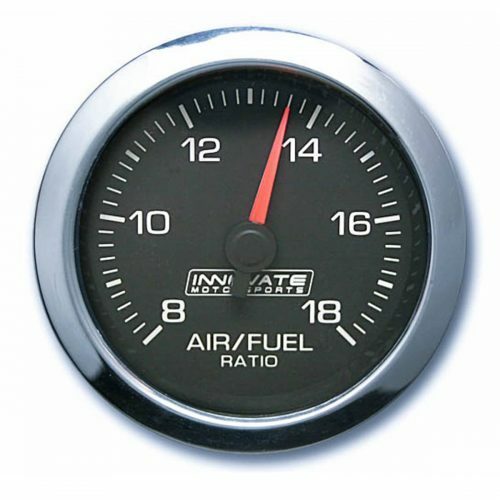 This is a 52 mm (2 1/16″) gauge that fits many aftermarket gauge pods or can be mounted in the dash. What else do I need with this? 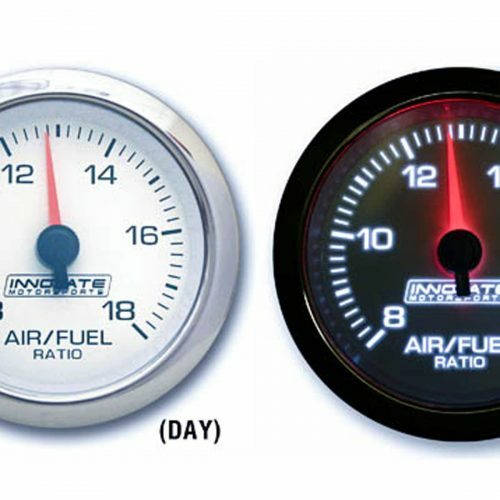 You will need to wire this gauge to an LC-1 or LC-2 wideband system to provide an air/fuel ratio signal. It could be used with an LM-1 or LM-2 as well, although these usually aren’t intended for permanent installation on the vehicle. 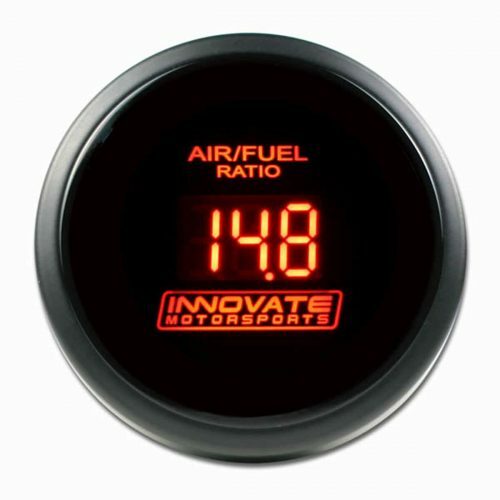 Is this gauge compatible with other wideband controllers besides Innovate’s? Possibly. 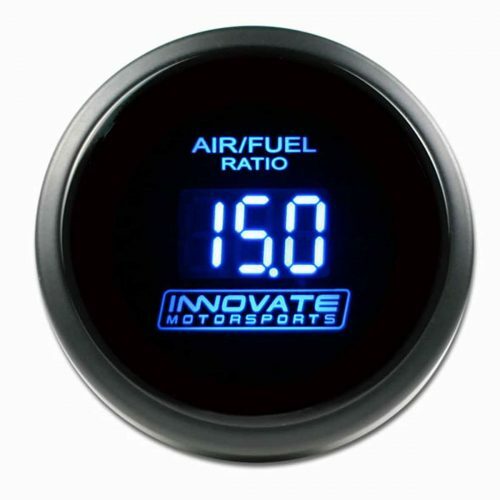 You would need to be able to program your wideband controller to produce the same output voltage signal as Innovate’s. What voltage signal is it looking for? It needs 0 volts to display 7.35:1 and 5 volts to display 22.39:1. Yes. It includes a “cage” to help fit behind a hole in a flat panel, as well as a small wiring harness. This will fit in most gauge pods or cups meant for 52 mm gauges. Can it work for other fuel than gasoline? It’s really only meant to display gasoline AFRs. 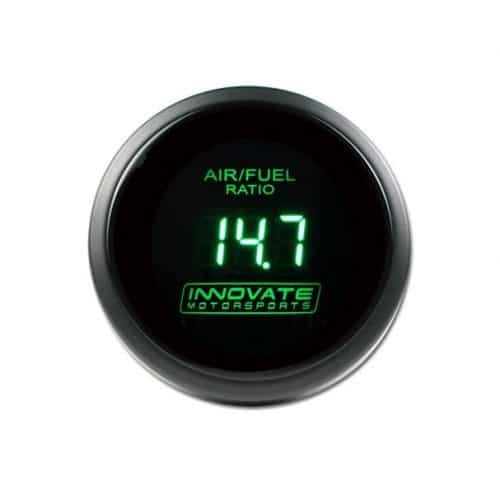 You could potentially adjust the wideband’s output curve to get it to display AFRs for fuels with a similar stoichiometric ratio such as diesel or propane, but not ethanol or methanol.